ski area is the perfect playground. summer months. Hiking trails too. There’s no way to see everything in one day. 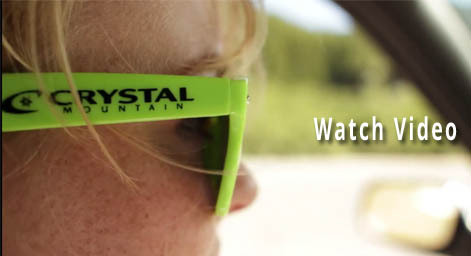 Crystal Mountain is one of the Pacific Northwest’s premier year-round vacation destinations with something for everyone. Next to Mt. Rainier National Park. Crystal Mountain is your base for exploring this incredible Park. Visit Sunrise, the Park’s highest drivable point. Take photos of wildflowers at Tipsoo Lake. Marvel at 1000 year old trees in the Ohanapecosh area. Click here. Spend the night. Whether you’re looking for Crystal Mountain lodging or Mt. Rainier lodging, you’ll find something for everyone. Cozy hotels, charming condominiums & suites, even a romantic cabin for 2. And summer lodging specials leave money in your pocket for shopping, dining and other activities. Come back in winter. Crystal Mountain is Washington’s largest ski area and offers Washington’s best skiing, snowboarding and backcountry terrain with 3100 feet of vertical and 2600 acres to explore. The winter season typically runs from Thanksgiving to mid-April.